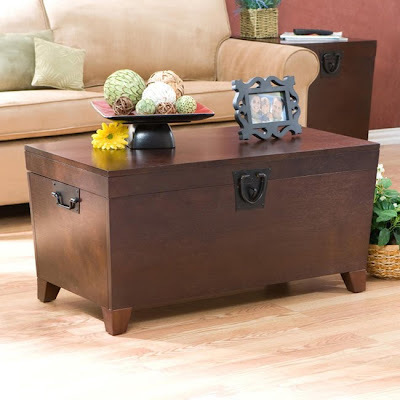 I am in the market for a new coffee table. I was thinking these trunks might be fun. Thoughts? Love the thought of the trunk. Extra storage plus wood which is nicer with kids. Now I want one. Just get those rubber corner things for when they pull up and pick the table/trunk you want now! 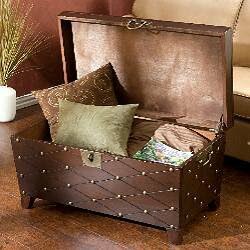 OR get a faux leather ottoman- pull up problem solved! AFW has some great ones! 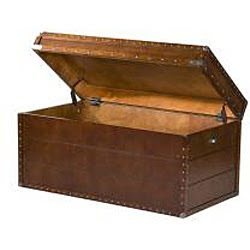 I love this look but think it might be a bit tricky .. every time you want something or to put something in.. you have to take everything off the trunk and then open it..